Anihan is pro-poor, pro-women, pro-family, pro-Filipino. Fundamentally, this is because Anihan is pro-life, that is, it is inspired by the Christian ideal of dignity of human life. 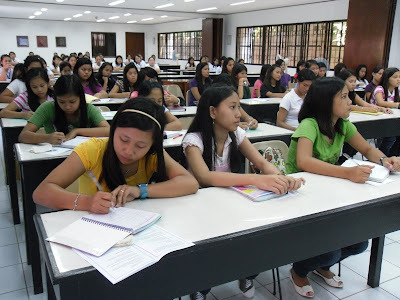 We stated the above in one of our posts in 2009 and we say it again as we continue pursuing Anihan's mission-vision of contributing to nation-building by imparting education, skills training, and values formation to Filipina women, especially the less privileged ones, and thereby effectively helping them slowly but surely bring themselves and their families out of poverty. Anihan's almost 25 years of experience working with the poor shows that educating our Filipino people is the key to real progress and development. We cannot eliminate poverty by simply stopping poor people from having children. It is with education, skills, and values formation, that we can empower our people, especially our women, enabling them to break the shackles of poverty. We invite you to join us in answering the Holy Father's call to participate in a pro-life vigil to be celebrated in local parishes and dioceses on 27 November 2010, the eve of the First Sunday of Advent which is the season in preparation for Christ's birth. The Pope will celebrate the vigil in St. Peter's Basilica on the eve of the First Sunday of Advent, and is requesting "all diocesan bishops (and their equivalent) of every particular church preside in analogous celebrations involving the faithful in their respective parishes, religious communities, associations and movements."